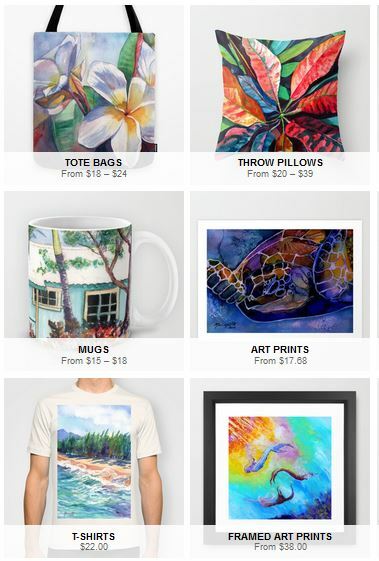 Back when I first opened my business, Painting Paradise, over ten years ago, I joined the Kauai Made program especially to meet and network with the local business people of Kauai. While attending one of their trade shows, I met Lori Cardenas, also known as Aunty Liliko'i, and have looked up to her as one of the most successful business women in Kauai and especially in the town of Waimea where we are both located. Over the years I have seen her business grow and have been in awe as her products continue to win local, national, and worldwide awards. At one of our events, I went over to Lori's booth and gave her a gift of one of my matted prints of a liliko'i (passion fruit) flower I did years ago. It was later on I discovered that she framed it and proudly hung it in her store right up front by the register. Thus, I found out she was also a fan of my work as well. Earlier this year, I received an interesting phone call from Lori. She wanted to collaborate on a project involving a t-shirt design of a liliko'i flower to celebrate the 25th anniversary of the Aunty Liliko'i brand. She wanted me to create a custom watercolor painting for the design based on photographs taken by her husband and business partner, Tony Cardenas. We had several meetings to discuss the design and it's progress, and this is when I really got to know Lori and Tony on a more personal level. We talked story about business, personal interests, computers, and food, which is a very important topic here on the island of Kauai. We shared recipe ideas, and I even brought them some of Joe's pasteles to try, which they loved. After discussing Aunty Lilikoi's Passion Fruit Wasabi Mustard, I went home and made deviled eggs using Lori's recipe and they turned out so ono (a Hawaiian word for delicious). If you haven't tried her passion fruit wasabi mustard, you should! It's one of her most popular products. So, after a few weeks, I finished their watercolor and they loved it so much they had it framed in a special koa frame and now have it proudly displayed at their shop. We are currently collaborating on another passion flower design of the wild liliko'i also known as the banana poka flower found up in Kokee and Waimea Canyon. After that, there may be a few more designs as Lori and Tony want to feature the different varieties of liliko'i. Even though they will be celebrating the 25th anniversary of their brand, Lori and Tony actually took over the business in 2001 when it was just a trade name and five recipes. The first building they had was a little bit more west in Waimea, the space where Kauai Granola now occupies. In 2006 they moved to their current location across from Hofgaard Park at 9875 Waimea Road. They have grown their brand to 19 products that they make at their production facility plus 26 products made by other manufacturers for a total of 45 passion fruit products. They run production two times a week for a total of 1600-2500 units. On top of that they also make liliko'i chiffon pies and liliko'i macadamia nut fudge. YUM! With about 100,000 units they produce each year, they use the equivalent of about 300,000 passion fruits. In 2004 they won their first award for their Passion Fruit Wasabi Mustard at the Worldwide Mustard Competition, and in 2005 they won Grand Champion. Since then they have continued to receive numerous awards for their BBQ sauce, mustard, and hot sauce. 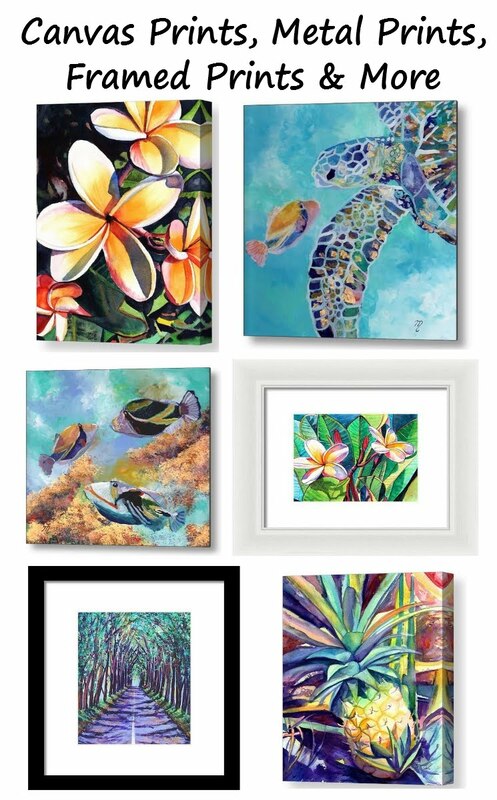 If you are looking for unique, Kauai made products made by a small business owner on Kauai, be sure to check out Aunty Liliko'i while visiting Waimea and online at http://www.auntylilikoi.com/. She also offers personal care products featuring the unique passion fruit scent. Her products also make great gifts!